ChalkBoard is a domain specific language for describing images. The ChalkBoard language is uncompromisingly functional and encourages the use of modern functional idioms. ChalkBoard uses off-the-shelf graphics cards to speed up rendering of functional descriptions. 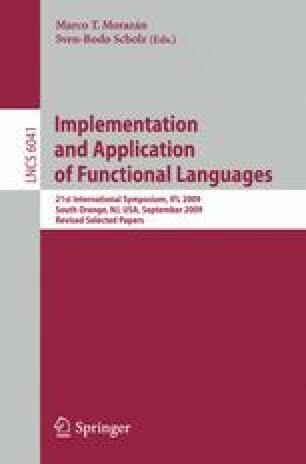 In this paper, we describe the design of the core ChalkBoard language, and the architecture of our static image generation accelerator.